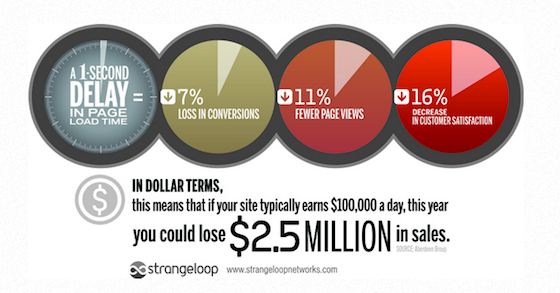 If you make $1,000 a month from your site — that’s seventy bucks a month you are losing — and $840 a year. Can you afford to just throw away $70 a month? $840 a year? The issues above … bandwidth thieves. All of them. Here’s how to round ’em up. And this is why I will always read Copyblogger. Fantastic, helpful post that has saved me hours. Thanks, Demian. Great post. My site’s speed is okay most of the time, but I’ve often wondered what changes a site’s speed and why. This article was enlightening. 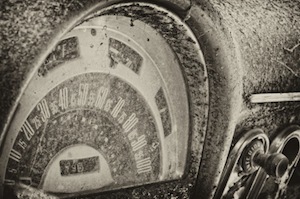 I could use some of these tips to increase my site’s speed. Thanks. Dan, one factor that can certainly influence a site’s speed, in addition to everything Demien mentioned and what has been discussed in the comment thread, is plugins. One of the first questions we ask to Synthesis customers inquiring about their site speed is: “How many plugins do you have active?” And the vast majority of our customers find that they have active plugins not providing necessary functionality. Any plugin not providing something necessary should be removed. And each one removed can have an impact on overall site speed, some more than others. Load Speed is important … for various reasons and in various ways. There is no Positive Direct Ranking benefit for having a Faster website that we know of. Google can/does Negatively impact a site that is Very Slow … but that is the only direct influence that they have admitted and that has been seen. Indirect benefits may factor in potential signals (those that haven’t been confirmed), such as dwell time, multi-page views, repeat visits etc. Some people have done studies that look at Page Speed and swell time and seen little effect … that’s because it tends not to influence the “immediate”, but instead impacts the subsequent … such as clicking to a another page or taking an action (conversion). Most of the big sites were covered in studies that showed conversion improvement when load times were reduced by tiny percentages … but those may be slightly out of kilter, as there was no mention of things like recent/active promotions etc. What is known (or can be seen) is on smaller sites that traffic tends to become stickier when load times are increased noticably (by 1.5 seconds or more). This is crucial for Mobile audiences as well (and as that is a heavy and growing audience segment for some site types – it’s more than a little important. There is no shortage of posts/pages about improving site load times … so long as you want to see the same 12 items being rehashed amongst “Top 5”, “The most important 10” and “Secret speed tip” articles. Most of them also miss out explaining the how/why of the optimization and how they work – instead simply telling you to do them (or explaining how to apply them). Many miss out things like [Connect: keep-alive]. or explain that sharding resources (subdomains/external domains for things like CSS/JS) should be weighed/monitored before simply doing it. So it’s vitaly important to understand that the optimization tips fall into several different categories, and that they possess different influences … and thus have different priorities on impact based on your site/design. A proper audit and measurement approach should be taken – as sometimes the time/effort to achieve something could be better spent on doing any 3 other optimizations and get greater result. I remember reading somewhere that if Amazon’s site speed dropped by one second they’d lose something like a billion dollars a day…I might be pulling those numbers out of thin air because I can’t for the life of me remember exactly where I read them but the point of the article struck home–speed has a direct impact on your bottom line, especially for an e-commerce site. You may not think an extra second or two is that bad, but think like a customer–how often do you get annoyed as the shopper when a site is slow? A billion dollars is a lot of money, but you are correct. I couldn’t find the study after a two-minute search (see what speed has done to us!). In response to this I was going to embed an animated GIF of Dr. Evil doing the “One BILLION dollars” thing from Austin Powers…but then I decided that the tradeoff of the page load strain from the GIF would not be worth the utility provided by the humor. So I refrained. My main website is very slow these days. I’ve eliminated a ton of plugins and scripts, but the problem persists. Major offender of heavy graphics according to the tools you’ve listed. Longtime user of pingdom, but loving some of the others. One way I’ve always avoided the graphics issue – which is a huge one when it comes to page load speeds – is with Photoshop’s “Save For Web” function. It reduces even very large files down to 50-200kb jpgs with far less quality loss than you’d think. If you can afford not having high res images, it’s one place to start. Nice tip, thanks. Just tried it out on a few images and they were 20-40% smaller. They also appear to shrink even more in programs like smush.it. Simply Great! It’s a blessing for me to find out copyblogger. I am working on my website these days and there are a lot which I learnt and have to learn from reliable contributors like you. I am looking forward to get more tips and techniques about blogging and cntent writing. Thank you for the practical value here! Even if only 1% of queries are affected by site speed, they are likely to be among the most competitive ones…so certainly worth focusing about! Plus, that ignores the indirect affect site speed can have on search engine results. As you explained so clearly, user satisfaction is directly tied to site speed; certainly more than 1% of users form their impressions of a site based on speed! And whether a user is satisfied directly influences whether they will stay and interact with the site plus share it afterwards, which will affect search rankings as well. Exactly — all of those indirect effects also will have an effect on search. Not to mention the effect on user experience, which is the main thing to keep in mind always. Great post. It’s amazing what a difference a fraction of a second makes. New York Times posted something saying that users start hitting the back button if the load times take longer than a blink of an eye. Going on with the theme of this post, here’s another infographic on the dollar value impact page speed can have to your site from us at Rigor. I’d also add the WebPerformanceGrader.com to the list of tools to test your site speed. We get spoiled as we inch the needle closer and closer to instantaneous, and sites adjust further raising expectations. It also doesn’t help that there is so much free great information out there–just a click away. A lot of competition. Do we need to ditch the Like Facebook button? And replace it with what? If you click through and read the article talking about the Like FB button, you’ll notice that the writer still has a Like FB button. The point isn’t just “ditch everything,” but to understand how much each bit of functionality adds to your load time, then strategically figure out what to keep, what to ditch, and what to make better. It may sound weird but will stripping off all the cosmetics from the website too is not really good, is it? I don’t think anyone was suggesting that. Look at this site – fast and still aesthetically pleasing. Super, super important stuff, Demian. I have been experimenting with BrowserStack to check various web browsers, and really appreciate all your performance links here. Noticing myself click away from slow sites made me realize that people are probably clicking away from mine, too. Yikes! I hear BrowswerStack rocks. Thanks for mentioning it. Thank you – a few of those I didn’t even know about and I really could have done with the page load tester this weekend. I’ve found google page sight insights so useful – I knocked seconds off my site a few months ago and then noticed an increase in visitors. All down to optimizing image sizes especially pngs and reducing the quality of the ones I was publishing. Since then I’ve put a few other pieces of code on my site and I’m now wondering if that was wise after reading this today. Better go back and do a few more speed tests! Thanks for highlighting the problem Demian – great stuff. I’ve been wondering why my site hasn’t been as quick to load as I should have liked. I’ll use one of those tools you mentioned to establish which plugins are the main culprits. All the best, Laurie. Another set of considerations … Actual vs Perceived. Studies have shown that altering the Perceived Load Time can have a greater impact than the Actual. This means ensuring that the User “see’s” the improvements, rather than them simply “being there” – such as showing timers whilst images load, loading the top part of the page/content before images/widgets etc. So again, it’s not simply a matter of doing XYZ to be “faster” – it’s a matter of knowing what needs improving, and how to improve it. Yep, you are right, and all those tools above can tell you what you need to do. That’s what’s nice about them. I was really surprised to know about the Facebook Like button impacting load time like that. There’s a general rule of thumb that says that every request to the server is 200ms. Adding Google Analytics – 200ms, Adding Facebook ‘Like’ – 200ms, Displaying an image on another site – 200ms, getting an extra CSS file – 200ms. Pretty soon you’re spending a second or two loading other people’s stuff and losing your own users. So interesting and surprising to think a second can make such a difference. However, I know how frustrated I can get when a site is slow. The only thing worse is not being able to find what I’m looking for easily…in other words, a site that confuses me! Thanks! Indeed, poor navigation is another conversion killer. This is very helpful and thanks for showing all the links that I would need to check my sites speed. I continue to hear and read that speed is a huge ranking factor and this information just great! Great Post and idea ! 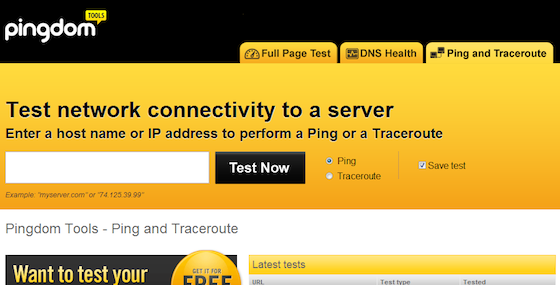 Although I am using CDN on my two blogs, I never checked is it working well or not ? Its working better but not good enough. Thank For nice tools…. Great informative post but I don’t know why, for the last few days I’m having this extra loading time with Copyblogger it self. It takes way too much time to load, I can get in facebook faster than I can load a page in Copyblogger. As I love this site, I wait; but it made me close the tab a few times. I have also missed a few posts only because of the load time. Hope it gets solved soon. Rather than this, I would have to say that load time always matters but I don’t know about the micro second matters sort of thing. I own a WordPress blog and I don’t get much visitor for sure but that’s mainly because my site is new and has only a few contents. I don’t get much time as I have to write to make a living. But I tried to improve my site speed and it worked, Google ranks me higher for a few keywords that I was not ranking at all. That speed thing worked for sure. Strange, it’s been lightening fast for me, and trust me, I check daily. Yeah, no lag on my end, either, Nazmul. It’s not on your side maybe? Very informative, thank you! Showing dependence between speed and revenue will make everyone check their website speed but it won’t be too difficult as you have provided all necessary tools. Thank you again, great post. Well, your post kept me busy today! 🙂 That’s not a bad thing though, not by a long shot. You’ve helped my sites tremendously, and I really appreciate this post! I was getting frustrated that my sites (both my blog and main website) were loading slowly, and I knew this couldn’t be a good thing (though I didn’t have your data to back up that queasy gut feeling). I looked into your suggested sites and tools above, and confirmed what I’d suspected. Google gave my sites about a 58 out of a 100. Pingdom was kinder, but not by much. And the mobile versions of the sites? Oh, they tested much, much worse. I’ve spent the day trying to fix these problems, and I happened across a plugin that’s really made those testing scores improve. W3 Total Cache: http://wordpress.org/extend/plugins/w3-total-cache/ . Both my sites are WordPress run, and if you are using WordPress, I’d recommend this plugin. Once the plugin was configured, my sites tested out on Google at about a 90 out of 100, and even on my slow, shaky internet connection, they’re coming through much, much better. I love comments like this. Shows we contributed some real value. Thank you. Wow really good resource thanks for sharing Demian . I have found most sites build by newbies load slowly due to bloggers not knowing how to format images for the internet. Using 20mb images instead of 20kb makes a huge difference. I use WP Optimize and W3Total Cache, these two things alone can help increase site speed once they are configured and used. Another thing, W3Total Cache Minify settings, if used properly, I went from a load time of 2.56 seconds to now (fluctuates) between 967ms to 1,2sec. Of course using the CDN can also help by basically making your load time with images much shorter. Hope that helps anyone looking to help speed up their site…Also, as far as the paid platforms are concerned for monitoring your sites seo and load times, ManageWP is pretty nice…I am really enjoying it so far, plus, you cn run up a few sites with it for free…. Not to the overloaded traffic yet but hope to get there soon 🙂 Great to keep in mind though and you’re absolutely right. This is probably the most important part of blogging business because readers does not have enough time. They can’t wait. I have been worrying about this matter since I started blogging, but the cost of speeding my site up is holding me back, and my blog is not making any money. When is the right time to invest into programmers to optimize code and images? hire a dedicated server? anyone willing to give me a quote? Great info and thanks for the tools. I’ve made my site as thin as possible and noticed some improvement in speed. I guess a minimal theme helps, too. I like how Copyblogger site loads in under 1 second – truly fast. You have great tools here to check the speed of our sites. A big help to make sure that we give our readers a great reading and browsing experience. Plus one for you! A painfully slow sight is sure to elicit a click on the “X” button to close the window. But even more annoying to me, personally, is the forced ad that prevents me from getting to the article or content I was looking for. Forbes .com is an example that comes to mind. Why are you forcing me to click twice (once on the original article link, again on the “skip this ad”)? My second click is almost always on the “X” to close the window … in fact now if I see that a social share links to an article on Forbes, I don’t even bother anymore. I think web browser must also take the blame for the slow site speed of websites/blogs. I currently use Opera to browser Copyblogger site because this web browser is really quick in compressing web pages. I only use Mozilla firefox mostly to download YouTube videos because i’ve already “invested” a lot of add ons on that web browser. But you’re right, coding can also be reason why page loads slow. And not to mention, images, widgets, ads and many things. I think we really need to limit what elements that we really need on our article pages, while we can put all the widgets on the homepage only. But i personally think Mozilla Firefox needs to improve its site load speed. I actually heard recently that Etsy delivered a slower page latency to see if it had an effect on conversion and they found that slower pages actually didn’t negatively effect their conversions. It’s possible that it depends on your customer base as well as your own testing to decide if it’s worth it to optimize page speed for higher conversions. That’s interesting–I wonder how slow is acceptable. Eventually you reach a point where it gets too slow obviously. And you are right that it depends on your audience. Test, test, test. Websynthesis is the best but when will there be an affliate program? Big timers like problogger and yoast have the chance to be an affliate, what about us? -A shopper’s proximity to your hosting infrastructure can impact on response times. – “80-90% of the end-user response time is spent on the frontend” according to Steve Souders in 2010. As Simonne Vickers said above, hosting can be the issue, but it is not the first thing in the todo list in most of the cases. We would be glad to have your opinion, and why not, to see the tool added to the list !